Over 2011, we received a total of only 19 objects. 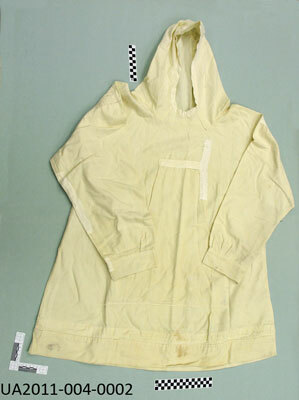 This is in contrast to 2010 when we cataloged a total of 182 objects. Why the sudden drop, you might ask? It’s nearly impossible to know. In 2009 we cataloged 214 objects; the year before it was 137. Jackie Niemi, formerly of Circle, donated this very unique clothing pin that is made from locally-mined gold nuggets and two small cables from the airship Norge. 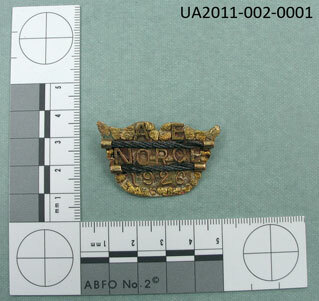 The pin was made by Harry Greep, sometime after 1926 (the year the Norge “landed” outside of Teller, Alaska, following the first officially-documented overflight of the North Pole). Greep was, at the time, the U.S. Road Commissioner, as well as Postmaster at Circle Hot Springs. The pin was originally owned by Niemi’s great-grandparents, Oscar and Eli (Ella) Larsen. It went to her grandmother, Ruth (Larsen) and her husband, Roy Olson. Jackie inherited it around 30 years ago. The delivery of the pig. Snowshirt from Red Bay, Labrador. 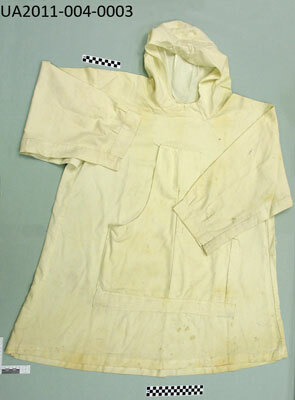 The well-known and greatly respected northern archaeologist and historian, John R. Bockstoce, in 2011 added four “snowshirts” or parka covers, to our collection. Three of these lovely, but utterly functional, garments were made by Inupiaq skinsewer/seamstress Sarah Nipiq Kingik of Point Hope, around 1974. 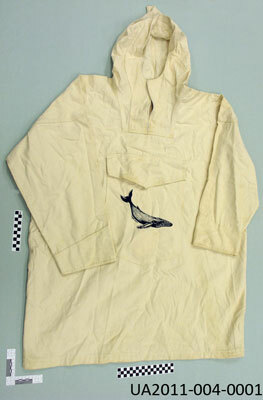 They were worn by Bockstoce while working on a whale crew in Point Hope. 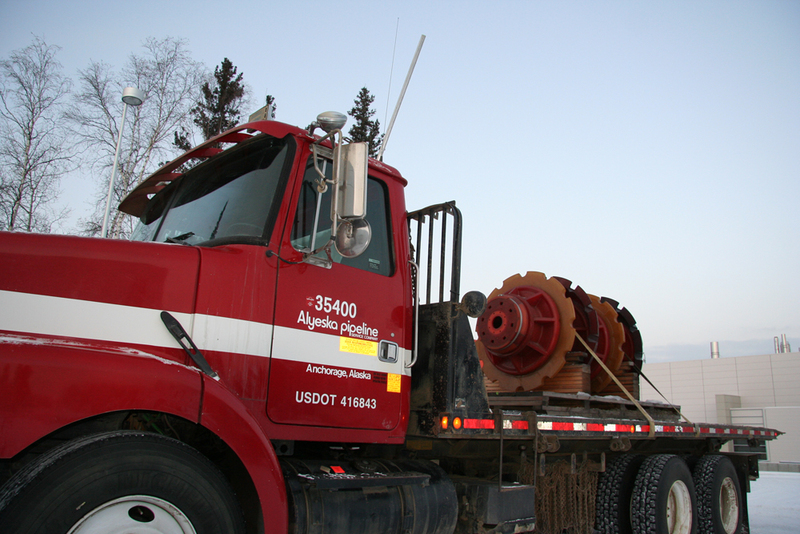 The fourth was purchased at a store in Red Bay, Labrador, ca. 1995. 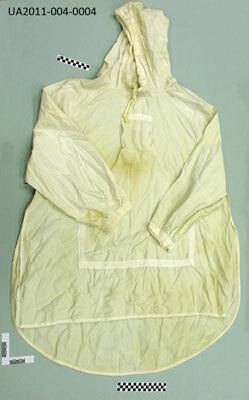 Snowshirts are fabric covers that one wears over a parka when hunting on the sea ice. They are the ultimate in camouflage, blending the hunter into the white expanse of the northern coasts.